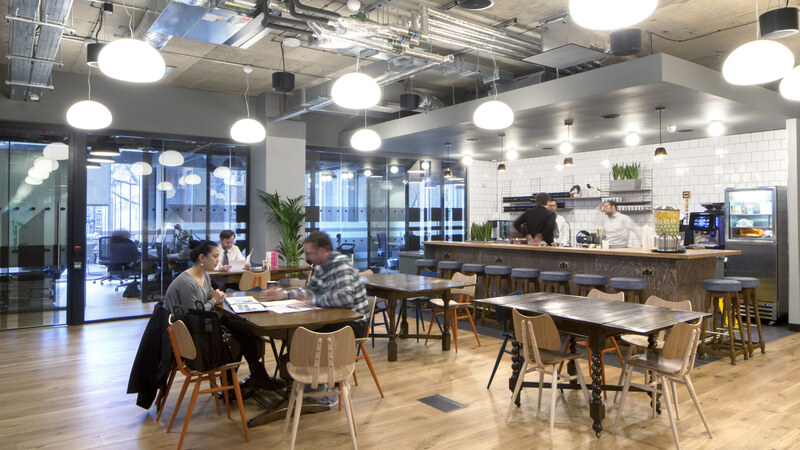 WeWork Chancery Lane is located in the heart of London’s City district. 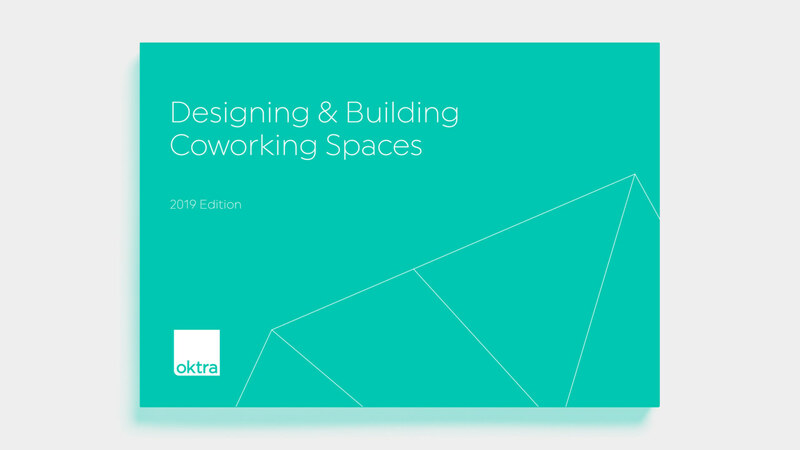 This is our fourth project in collaboration with WeWork. Over 22 weeks, we completed a full Cat A and Cat B refurbishment. Each WeWork project follows the same model. 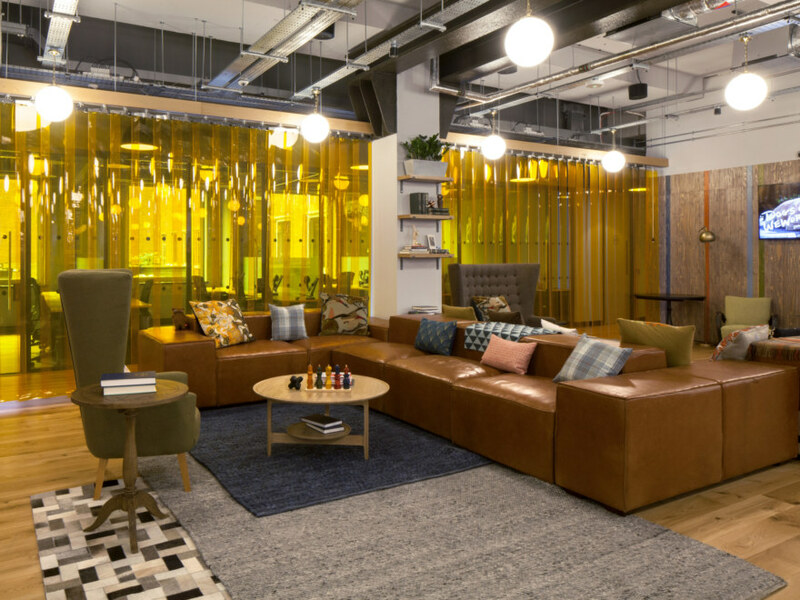 WeWork provide us with their basic design principles drawn from the local area and we work in collaboration with their team to design and build a space that promotes collaboration and creativity in keeping with the global WeWork brand. 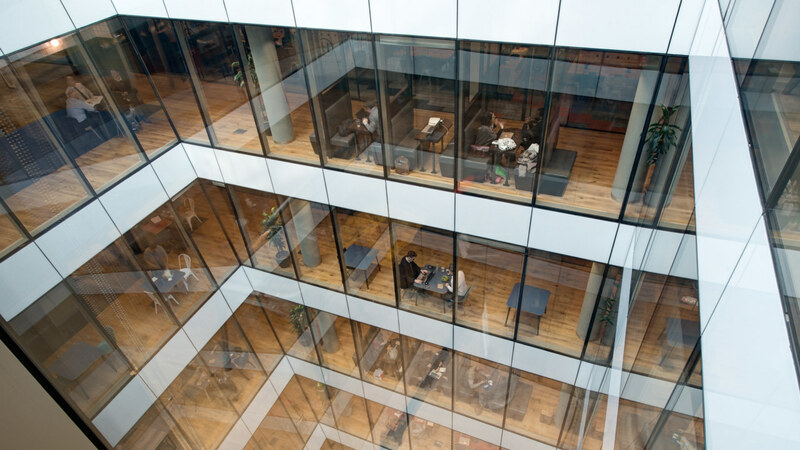 This was a particularity interesting project as WeWork only took three quarters of the Fox Court building with the remaining quarter occupied by law courts. We therefore had to take into consideration noise mitigation throughout the project whilst the courts remained in operation. 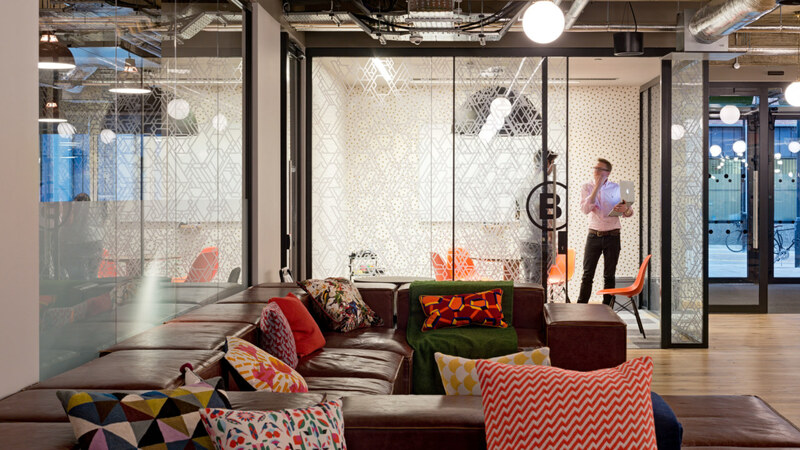 The previous tenants had left everything behind which meant we had to strip the entire space and install new infrastructure, including a landscape terrace and upgrading the landlord’s reception. For WeWork Chancery Lane, the aim was to provide a mixture of spaces where people can collaborate, have private conversations and get individual work done effectively. 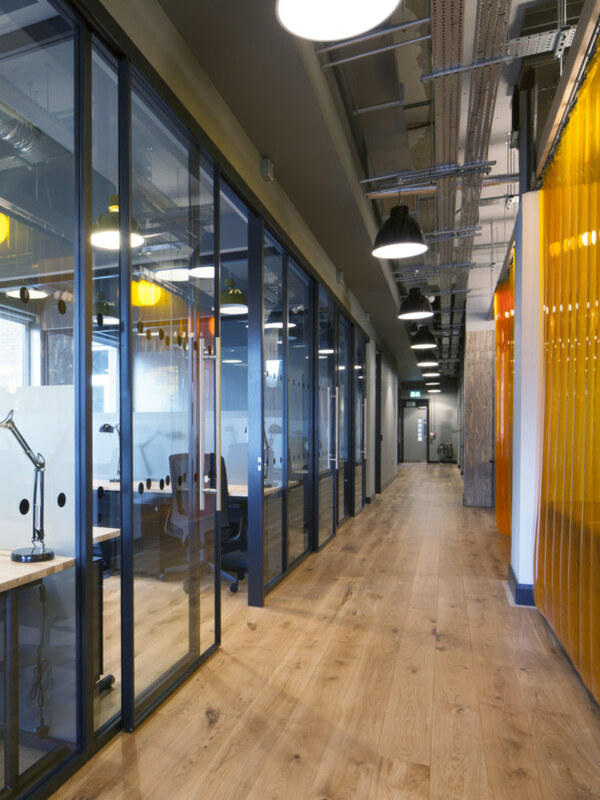 From the glass walls to the collaborative kitchens and breakout areas, the space has definitely succeeded in providing working environments to suit a variety of personality types. 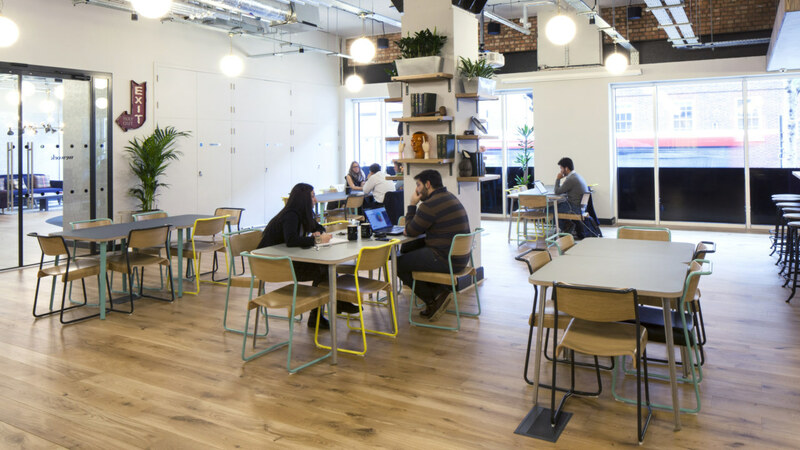 WeWork Chancery Lane was, and still is to this present day, associated historically with the legal profession. Inns of Court, Maughan Library and Sir John Soane’s Museum are a few of the feature properties surrounding this area. The interior fit out of this project includes timber panelling inspired by pinstripe suits of judges, Tudor building detail in the reception desk, colours inspired by law courts’ layering, animal detailed wallpaper and artwork reflecting the picture library from Soane’s vast collection. There is also a feature statue of a vivacious-looking fox serving as a playful gatekeeper of the Fox Court building. 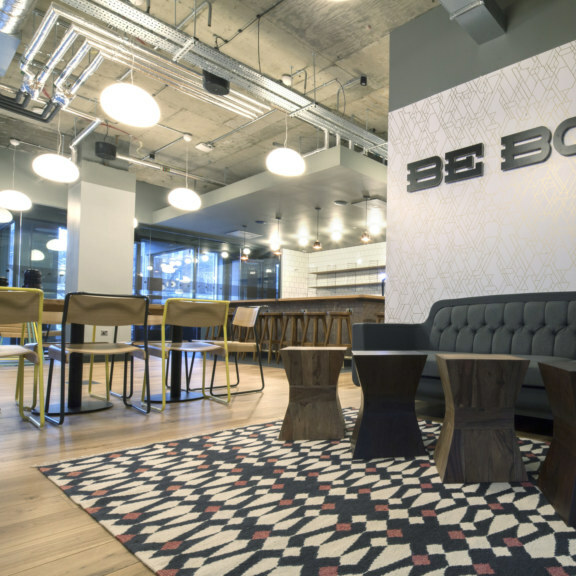 It is safe to say that WeWork isn’t afraid to add quirky flourishes, responding to both the architecture and the community.